It seems like most of the really cool and interesting modifications you can make to your Android device always require special root access, so when a fun mod comes along that doesn't require root—I feel it's my duty to alert you. The softMod I'll be showing you today is an app that modifies the look of your standard, boring Settings menu layout to something more convenient and condensed like in Samsung Galaxy devices running Android 4.3 or higher, which have the tabbed Settings menus. Why does this matter exactly? Less scrolling. 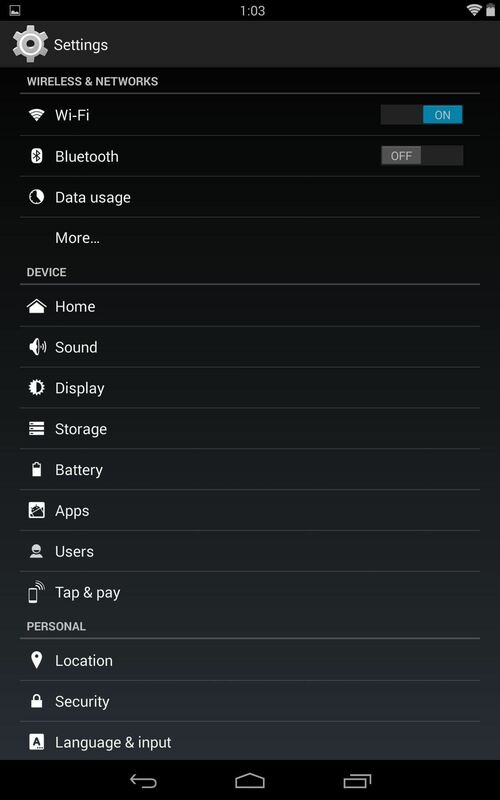 We can get a tabbed Settings menu on our Nexus 7 tablets by using Biftor Settings by XDA developer's Biftor. It's not available on Google Play yet, so in order to install it, make sure you have Unknown sources checked in Settings -> Security, then download and install the Biftor Settings APK. 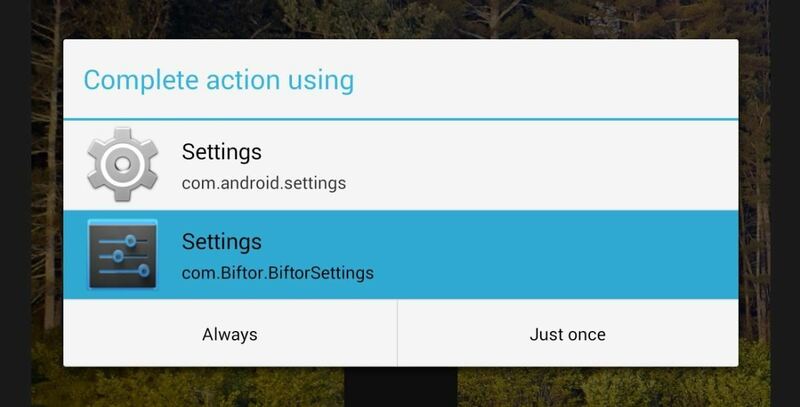 When you first open your Settings after installation, you'll be asked if you'd like to make the Biftor Settings your default app, so select Always or Just once, and don't worry, because you can uninstall this like any other application and access your old Settings menu if you choose to do so. As you can see below in my side-by-side comparison, it's much much cleaner and easier to navigate. 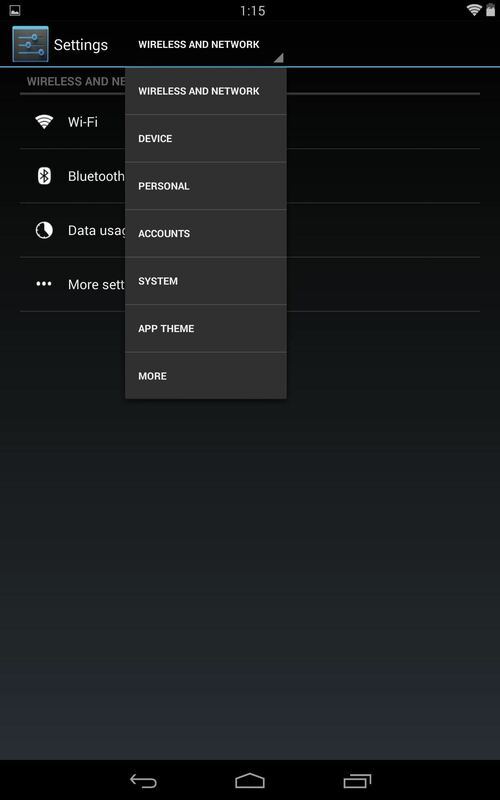 Enjoy your new Settings menu and its consolidated convenience. Stop scouring for the option you're looking for, and feel the ease of pulling down a tab with your specified category. Do you need to be rooted? No, it does not. Enjoy! Alright, when you open the link, click the smallest Download icon. Should be in the middle. Sorry for the clutter.